Does someone on your Christmas list have a swimming pool? If so, you should consider purchasing them a gift this year they can use for their pool once it gets warm out again. Take a look at a few suggestions below. Before you buy this, you might want to take a look and see if the person on your list already has one. Nevertheless, if they don’t, then they need some kind of personalized pool sign that will let everyone know whose pool it is. Whether you opt to include the name of the person’s whole family on the sign or just the person who takes care of the pool the most, the pool owner will love the idea of personalizing the pool space with a creative sign. Swimming in a pool can be a lot of fun. However, it can also be fun simply sitting out by the pool. If you know someone with a pool, they probably have some furniture they use already, but you can never have enough of it. When you have a pool, you always seem to have guests dropping by, and it’s great to have somewhere for everyone to sit. So consider shopping around for pool chairs or other pool furniture that can be used by those who just want to relax by the pool. 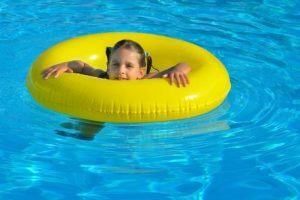 From toys that float to toys that sink, there is certainly no shortage of pool toys out there in the world. Toys will enhance the pool experience for swimmers of all ages. If you can’t come up with anything else for the pool, toys are the way to go. They will certainly be put to good use. If you would like to enhance the current look of your swimming pool, be sure to check out Vista Pro Pools & Spas services.